Talk about your Freudian slips! 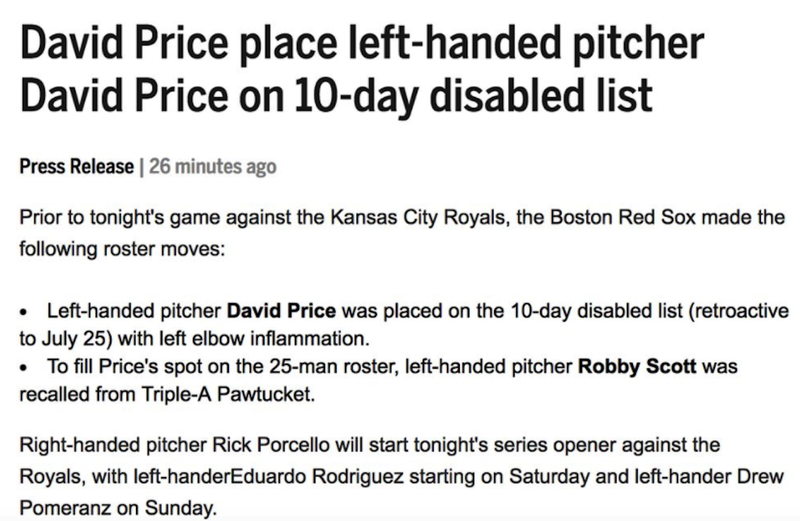 In the official release posted today by the Red Sox on the disabling of David Price, there was the following interesting headline: "David Price place left-handed pitcher David Price on 10-day disabled list". Sometimes the most revealing things are brought to light inadvertently—or perhaps subconsciously. The real news in the release is that Rick Porcello will start tonight in Price's place against the Kansas City Royals (winners of eight straight).